When Will My Powder Coating Be Ready? Bris Aluminium has a 10 business day lead time required for all powder coating orders. The break down is below. 2 days at Bris Aluminium is allowed to bundle up all the parts required for the order and drive it to the powdercoater. 6 days for the powder coating to occur from our supplier. 2 days for us to fabricate the order and get it ready for you to be collected or delivered to you on site. 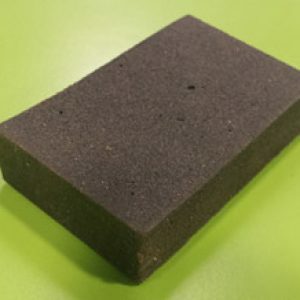 If you can do it faster yourself, please just order the mill finish and take it to your own powder coater. When Will My Transport Arrive On Site? We can organise the transport and provide you with the con note number to track the goods. It is your responsibility to be onsite when the goods arrive. If you want to organise the transport yourself, please let the sales representative know. What's included in a Door Kit? We include the hinge screws and frames screws with all our kits. All door kits comes with stiles and stop heights oversize, and heads and head stops cut to suit width of doors including instructions. What skirting do you have? 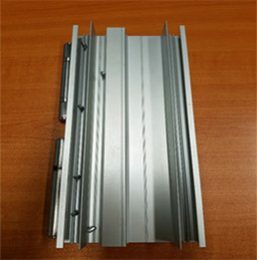 All our clear anodised skirting is on the shelf and are 3620mm long. The black, grey and white infill is available in 50 and 100 meter rolls. 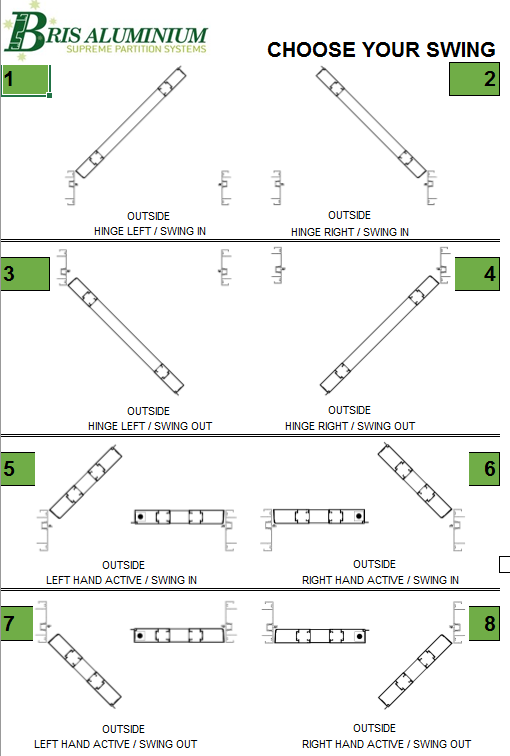 What locations do the hinges need to be? 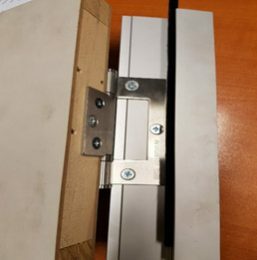 In all cases, hinges must be fixed 100mm max from top and 200mm max from bottom of door. 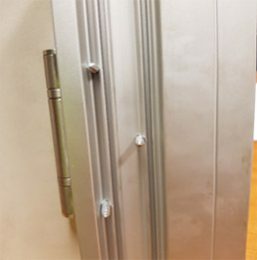 What door stops should I use? How do you get scuff marks off aluminium? Please use Aluminium Rubber to rub it out. You can buy one from us, using the code BA-1997. What are the Adjustable Door Frame And Hole Sizes? What are the Adjustable Glazing Frame Sizes? To get the hole size for an adjustable glazing frame all you have to do is subtract 36 from the frame size. How do I measure for the Air Grills And Vision Panels? What sizes are the Cavity Sliders? What are my door swing options? 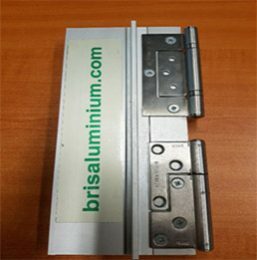 What locks will work on my Aluminium Doors? We don’t sell 40mm Aluminium Doors. For the 35mm door we recommend the 23mm or 30mm back set. You can’t use the 60mm back set as the lock will hit the glass. All 45mm Narrow style doors can only have a lock backset of 23mm. Please ask for 45mm Wide style for 23mm, 30mm and 60mm back set for locks. What sizes to the Slimline come in? GS-500 base and GS-501 Bead comes in straight lengths of 2750mm and 3750mm. Do you have Glazing Frame Formulas? Company policy states no credits will be issued once the delivery docket has been signed. There is a 15% restocking fee for goods to be returned when a genuine mistake occurs. This will be a management decision. This is only for straight lengths and not fabricated cut lengths. Returned goods must be in saleable condition for goods to be returned.